Learn more about frequently asked surveying questions. Here are the most common frequently asked surveying questions we get on a regular basis. 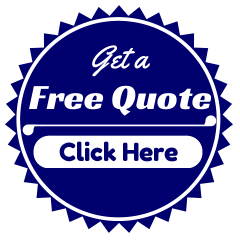 If you have a question that is not addressed here feel free to contact us. What is a Professional Boundary Survey? A professional, certified Boundary/Property Survey determines the legal property lines of a parcel of land described in a deed according to and, in adherence with, the State of Ohio statues. A professionally prepared survey will also indicate the extent of any easements and/or encroachments and may show the limitations imposed on the property by state or local regulations. Landowners are typically informed that a boundary survey is required by their local planning board or building officials in their town when they are looking to build or for approval for their property planning or development project. These projects can range from something as simple as putting up a fence or pool in their yard to complex renovations or building projects. Additionally, title insurance companies and/or title or real estate attorneys often request the services of a professional land surveyor in order to resolve inaccurate property descriptions and onsite improvements so that mortgage lenders will grant loan approval. A survey is advised prior to buying, subdividing and/or improving or building on land. Surveying the parcel before these activities can ensure avoidance of unnecessary additional expense, legal boundary disputes and/or possibly mandated removal of a structure by officials. An accurate, detailed land survey is essential to the success of all planning, design and property development. To achieve this, Boundary Surveys entail the use of advanced technology, software and electronic survey equipment. Licensed surveyors thoroughly examine the historical land records relating to the land in question and all lands surrounding it. In addition to records found in municipal offices, this research may include examination of court documents and the records of other land surveyors, attorneys, historical associations, libraries, and the State Department of Transportation. The Surveyor may also talk with prior owners and adjoining land owners. The field work begins after the research and involves recovering boundary evidence and locating this evidence as well as improvements to the property that are to be depicted on the map. This location takes place from a control network of points established by a land surveyor called a traverse. Although the field portion of a Survey is the most visible phase of surveying, it usually represents only a third of the entire project. The results of the field work are then compared with the research and the Surveyor then will use all the information to arrive at a final conclusion about the boundaries. One or more additional field trips may be needed to gather more evidence or to set boundary markers. Finally, the Surveyor may draft a map of the survey and prepare a metes and bounds legal description (if required). The cost of a Boundary Survey depends on many variables including lot size, terrain, vegetation, location and season. This can all affect your cost. In addition, working with town planning staff, town engineers and zoning attorneys to get projects approved can be an expensive proposition in moving your project forward. Godfrey-Hoffman & Hodge is your ally every step of the way as we help customers navigate through these above variables and develop a plan and proposal to fit your specific project needs. 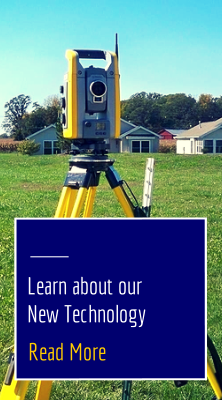 As professional land surveyors and engineers, our licensed team provides maps/plans in accordance with State mandates and gets the job done right the first time… every time. This saves our clients time, expense and headaches they don’t need in moving their projects forward. Additionally, our estimates offer our clients a “not to exceed” proposal guaranteeing your investment prior to any work being performed. Completing projects on time and within budget is another way we protect our customer’s interest and bank accounts. Monuments or markers at all property corners and along property lines. A written metes and bounds legal description of the property. 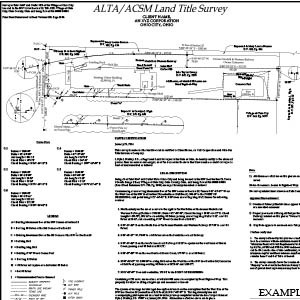 A certified survey map including, boundary lines, easements encroachments and all improvements. This also depends on what the Client and the Surveyor have agreed to. Monuments may include wooden stakes or hubs, iron pins or pipes, marked trees or concrete monuments. They may be placed on property corners and angles and sometimes at intervals along the property lines. Is a map of the Survey necessary? Is a map of the Survey necessary?